Did panic-inducing infrasound lead to the deaths of nine Russian hikers at Dyatlov Pass? 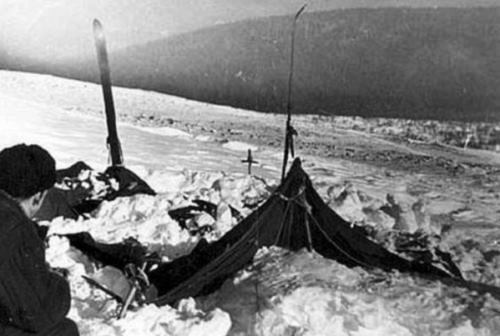 The Dyatlov group's tent, discovered on February 26, 1959. Fifty-five years ago today nine young Russian hikers pitched a tent on the eastern slope of Holatchahl mountain (a.k.a. Dead Mountain), deep within a remote wilderness area that could be described as the gateway to Siberia. Sometime that night or the next day all nine perished, most from hypothermia, but some from difficult-to-explain injuries. Despite a protracted investigation, authorities were unable to reconstruct what happened, eventually attributing the deaths to “an unknown compelling force.” Even today, the incident—now commonly known as the Dyatlov Pass incident, in memory of the group’s leader, Igor Dyatlov—remains as infamous and conspiracy theory-clingy in Russia as the JFK assassination is in the United States. But last year American filmmaker-producer Donnie Eichar—working in conjunction with Dr. Alfred A. Bedard, Jr., and others at the National Oceanic and Atmospheric Administration in Boulder, Colorado—offered a scientific explanation for why the hikers died, noting that the shape of Dead Mountain’s summit, combined with its proximity to the Dyatlov group’s tent, created the ideal conditions for Kármán vortex street, which occurs, as Eichar puts it, “when wind of a certain speed hits a blunt object of a particular shape and size.” The resulting air vortices (small tornadoes), would have in turn produced infrasound—the kind of fear-inducing sounds and vibrations that might have prompted the hikers to leave the relative warmth and safety of their tent, a shelter to which they never returned. Last month Failure interviewed Eichar about the Dyatlov Pass Incident, as well as the extensive research involved in producing his recent book “Dead Mountain” (Chronicle Books). This month Eichar elaborates on the science behind his explanation for what happened that fateful night in February 1959. Infrasound is the opposite of ultrasound. It occurs below the threshold of human hearing at 20 hertz, while ultrasound frequencies fall above human hearing at a threshold of 20,000 hertz. A pioneer in the biological effects of infrasound was the Russian-born, French scientist Vladimir Gavreau, who discovered its impact on the body entirely by accident when Gavreau and his laboratory assistants started experiencing nausea, pain in their eardrums, and shaking lab equipment—all with no apparent cause. When chemical and airborne sources were ruled out, Gavreau concluded that inaudible, low-frequency sound waves were being generated by the motor of a large fan-and-duct system in the building where his lab was located. What initially started out as a subconscious irritation soon became a scientific pursuit for Gavreau, but it was difficult for him to pursue, as no traditional microphone could pick up the frequencies, and exposure to the infrasound resulted in illness, sometimes lasting days. 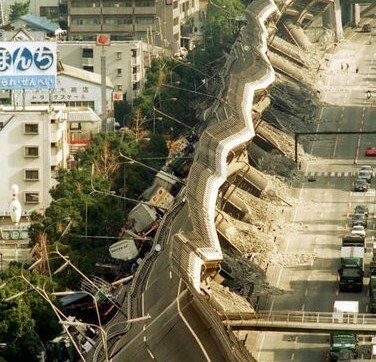 Infrasound occurs from manmade sources and also in nature as a byproduct of earthquakes, landslides, meteors, and some tornadoes. Why might it induce panic? It induces panic because of the pressurized effects of infrasonic frequencies pulsing through the eardrums. These low-frequency waves can cause the eardrum to vibrate the hair cells of the inner ear. 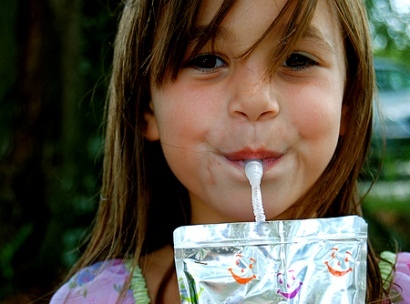 Although the sound may not be audible, the excited hair cells in the inner ear send impulses to the brain and this disconnect between apparent silence and the brain’s receiving signals from the ear can be extremely disruptive to the body. So your theory is that a Kármán vortex street created vortices that passed by the hikers’ tent. What would the hikers have experienced? The hikers would have heard the noise of the tornadoes created by the Kármán vortex, and also felt the effects of infrasound. Keep in mind, it was pitch dark, and the hikers probably had no idea what was occurring. The multiple tornadoes would have passed by, far enough away as to not damage the tent, but close enough to produce a roaring noise. The hikers would have also felt the effects of the infrasound, which caused panic, fear, and trouble breathing. And that prompted the hikers to flee their tent, despite being inadequately dressed? What occurred caused nine experienced hikers to leave a perfectly good tent to walk to certain death in subzero weather. My explanation about how the hikers died is in “Dead Mountain.” Over the course of the last five years, I worked with the foremost experts on avalanches, radiology, survival, and disaster. There has been much speculation and rumor surrounding false reports of extreme levels of radiation, someone’s tongue being ripped out, and the manner in which some of the hikers endured fractured ribs and skull. Working in cooperation with the Dyatlov Foundation, I interviewed family and friends of the hikers, as well as the search team that discovered the hikers’ campsite and their bodies. The foundation of my book is based on expert scientific opinion as well as my own field experience. I’m the only author to go to Dyatlov Pass in winter, where I attempted to retrace the hikers’ footsteps. What about Dead Mountain makes it likely to produce such a weather event? Holatchahl mountain has a symmetrical dome-shaped summit which is ideal for a Kármán vortex street [named after the Hungarian physicist Theodore von Kármán]. In the aerodynamics of weather phenomena, small tornadoes are created when wind of a certain speed hits a blunt object of a particular shape and size—like the dome of Dead Mountain. Twin vortices spin off both sides of the obstructing object. These tornadoes create both infrasound and an ear splitting roar that many have compared to the sound of a freight train. In fact, when new buildings are constructed in windblown areas, they’re often designed to be complex in shape in order to dampen the effects of Kármán vortex. Is there any place in the U.S. where scientists have documented a similar weather event? There was a weather event in Boulder, Colorado that occurred on Flagstaff Mountain, which created a Kármán vortex street, and therefore infrasound. The dome shape of Flagstaff is very similar to the dome shape of Dead Mountain. 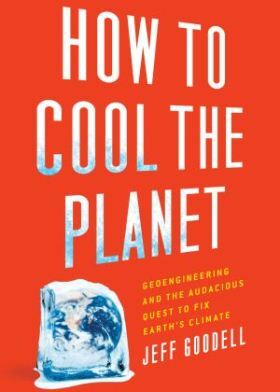 How to Cool the Planet—Geoengineering and the audacious quest to fix the earth’s climate.